Mitchell Gilbert Messina, Smac…revolution…, 2014. Brick-and-Glass-Pane, 60x40x20cm. Image courtesy of the artist. The rectangular clay brick has been a recurring subject of writing about Johannesburg since the discovery of a huge gold-bearing reef on the Langlaagte farm in 1886. 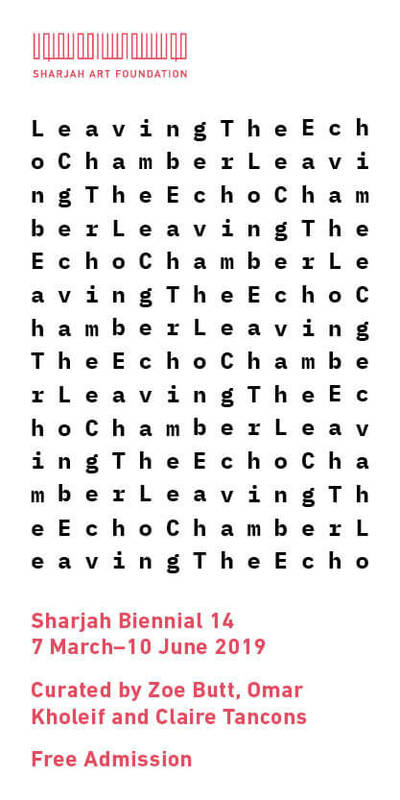 Largely unremarked upon as a collective body of work, this writing encompasses perfunctory cataloguing, journalistic description, experimental fiction and quasi scientific treatises published in defunct journals like The British Clay Worker and Chicago-based Clay Record. This archive of uncollected texts represents an important foundation for thinking through the many works featuring bricks by artists like Kendell Geers, David Goldblatt, Donna Kukama and Robin Rhode. Of course, there is nothing unique about the attention Johannesburg writers – and latterly artists – have brought to bear on this materially resonant building material. Brick-making is an ancient African technology and a vital form of material expression, a fact often overlooked in the valorisation of wood carving over other types of cultural production from the continent. Ancient Egyptian tomb paintings offer various descriptions of brick-makers at work. The Theban tomb of Rekhmire, a prime minister during the reign of Thutmose III, features wall paintings and inscriptions depicting major events from his tenure as a builder. They include scenes depicting brick-making. According to British Egyptologist Rosalie David, sun-dried mudbricks were introduced as a building material for some Egyptian tombs as early as 3400 BCE. The Bakongo, whose Kongo Kingdom was established along the coastal regions of present-day Angola, Congo and the Democratic Republic of Congo (DRC), were also accomplished brick-makers. In his hoary anthropological account, Among Congo Cannibals (1913), the missionary John H. Weeks writes how following the death of a heirless leader from Ngombe Lutete, in southern DRC, he was buried with his property in a wood coffin in a vaulted and paved grave made of 3000 bricks. Prior to white settlement of the grassland region where Johannesburg was established, the dominant architectural style was cone-on-cylinder dwellings. These buildings featured stone walls plastered over with clay, and thatch or reed roofs supported by timber beams. Far from being harbingers of technological innovation, the earliest white settlers lived in primitive structures of wattle and daub. Their rudimentary quality prompted a Zulu royal to dismissively describe the white builders as inkonjane (swallows) after their habitations, according to design historian Eliza Labuschagne. 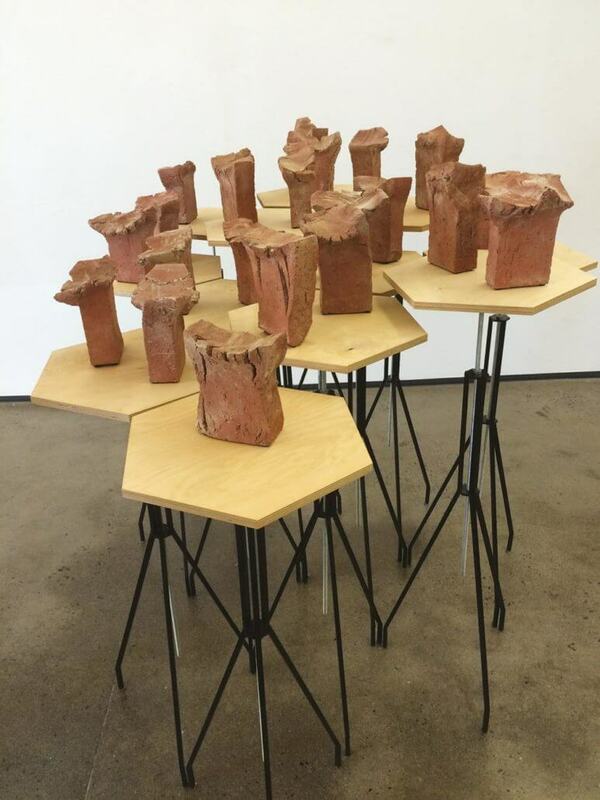 Over time clay was introduced, as well as rammed earth, an alternative construction material to clay bricks that informs the contemporary sculptural practice of Pretoria-based Angus Taylor. Brick structures only came later, after what William Kentridge once described as “puffs of gunsmoke” had silenced debate over who controlled the land of the Zuid-Afrikaansche Republiek (ZAR). They remained somewhat exceptional due to the arduous process of making a quality fired-brick. The earliest brick-makers in Johannesburg were largely drawn from the ranks of poor Afrikaner migrants to the city. In historical accounts of early Johannesburg brick-making emerges as a vital source of income for these impoverished settlers. Drawing on the sympathies of the ZAR government, Afrikaners extracted permission to manufacture bricks from the clay on state land bordering the Braamfontein Spruit, the city’s longest stream. Although earmarked for low-grade industrial activity involving clay diggings equipped with puddle machines, kilns, and drying stacks, the brick-makers also opted to settle where they worked. “By the early 1890s,” writes historian Charles van Onselen in New Babylon New Nineveh, a decisive history of early Johannesburg first published in two parts in 1982, “the Brickfields had started to assume an even more permanent aspect and became well known as the place of economic refuge for the Afrikaner poor.” By 1896 the area was home to some 1500 brick-makers and countless more labourers. David Goldblatt, Zulu woman salvaging bricks for a white contractor from Indians’ houses demolished under the Group, 1982. Image courtesy of the artist. The crowded diggings quickly morphed into the city’s first slum. In his 2011 book City of Extremes, Martin J. Murray, a US-based scholar of urban practices, notes how the site of brick-making activities in early Johannesburg quickly became “the main point of entry into the local urban economy, attracting a hybrid and cosmopolitan mixture of expectant newcomers to the city, including peripatetic Europeans seeking a fresh start, along with itinerant Africans, Assyrians, Chinese, Indians, Peruvians and so-called Cape Malays looking for work”. This pattern of dependency on the brick trade would haphazardly endure in the area, if not as an industry then through idiosyncratic practices with vestigial links to a lapsed past. 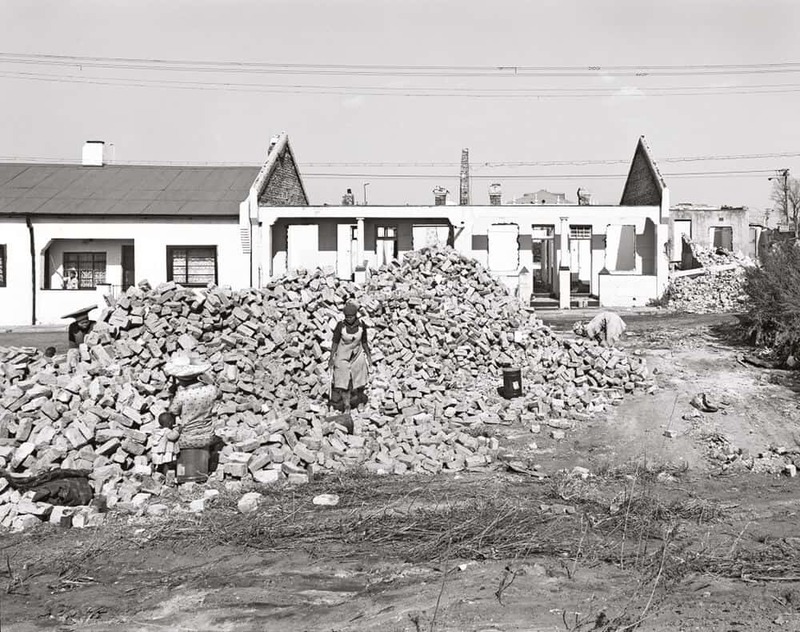 In 1982, David Goldblatt photographed a Zulu woman salvaging bricks for a white contractor from Indian-owned homes demolished under the Group Areas Act in an area near the original Brickfields, which was renamed Burgersdorp after its demolition in the late 1890s. Salvaging old bricks for resale is not an unusual occupation in South Africa, where a functioning formal economy exists in parallel with other precarious forms of survivalist capitalism. A series of photographs taken by Goldblatt in 1990 along Lilian Ngoyi Street (formerly Bree Street), on the western side of the CBD, describe what today endures as a form of get-by street enterprise. Notionally, Abraham Thipe was a brick seller. In one photograph, he is pictured sprawled across a demolished brick wall. The stuccoed wall behind him is decorated with his rudimentary drawings of a footballer and workman with a barrow, and a further charcoal inscription reading “Creamy Carnal Bar”. David Goldblatt, Abraham Thipe with one of his arrangements and his deckchair, Newtown, 14 August 1990. Image courtesy of the artist. In formal terms, Thipe’s installation reads like a free-jazz version of Carl Andre’s floor-based brick sculpture Equivalent VIII (1966). It also complicates an appreciation of Kendell Geers’ numerous brick pieces, including his widely travelled suspended brick installation, Hanging Piece (1993), works that are dutifully linked to Andre’s brick installation. 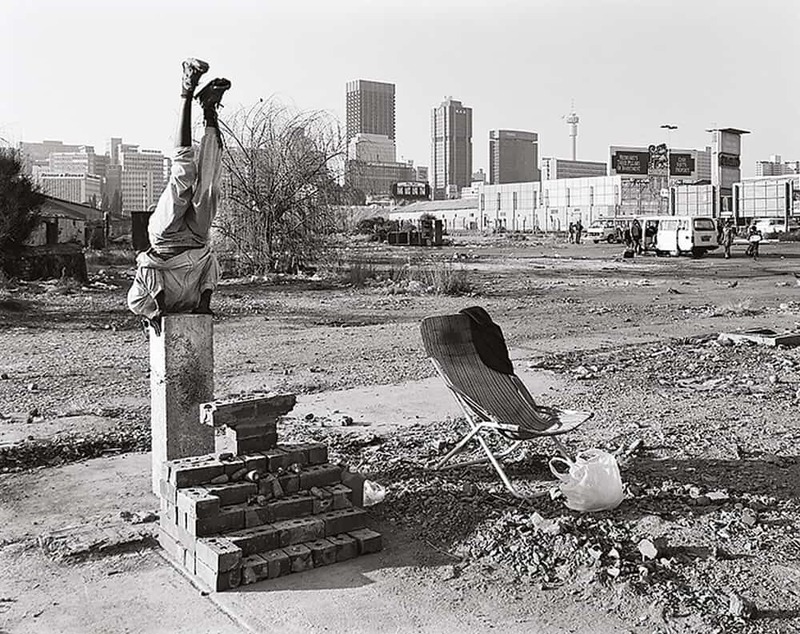 The radical localness of both Geers’ and Thipe’s work, in other words their Joburgness, is worth exploring. There is a strain of writing about Johannesburg that, since the 1980s, has sought to defamiliarise the brick – or at least extend the remit of its meaning beyond mere building technology. One of the more striking examples of this process of ostranenie, to use the technical term for defamiliarisation suggested by the Russian literary theorist Viktor Shklovsky, is contained in a 1981 Staffrider essay titled “The Babalaz People” by playwright Matsemela Manaka. In his essay Manaka, who taught acting and directing at Soweto’s Funda Centre, argues that that “mampara bricks” – a low-grade stock brick meant to be plastered over – along with corrugated zinc and the mud and stench of township streets, is an essential part of the mise en scène of authentic black theatre. Journalists Nat Nakasa and Basil “Doc” Bikitsha similarly welcomed bricks into their descriptions of Johannesburg, although I would argue that it is photographer Santu Mofokeng who best captures the brick’s expansion of meaning from primitive proto-capitalist building technology to ambiguous late-capitalist cultural metaphor. He had been involved in a fight. He stopped a brick with his head, knocked out cold. He suffered loss of memory. A brick can do that to you. In a lacerating autobiographical essay appearing in his self-titled 2001 monograph, Mofokeng writes about growing up in White City, a suburb of Soweto. In rat-tat prose he recalls a neighbour, Vusi, who turns up in a hospital after going missing. “He had been involved in a fight. He stopped a brick with his head, knocked out cold. He suffered loss of memory.” A brick can do that to you. Far from being just a building material, bricks are now understood to be materially resonant signifiers of place, markers of an authentic post-war Johannesburg vernacular architecture style, tools of violence and, come 1990, readymade cultural artefacts worthy of display in a gallery. This passage from technology to metaphor was partly a result of architectural modernism and the new materialism it fostered in post-WW2 centres of commerce and political administration. Material innovation had rendered the brick obsolete as structural form; it became mere ornamental fill-in in new architecture, at least of the show-off type. In 1938, shortly after arriving in the United States, architect Walter Gropius became intrigued by the place of the ornament in architecture: the “true” ornament, he wrote, “is the result of the unconscious work of a whole period of civilisation”. Bricks, I would venture, are an expression of this unconscious work. Thinking beyond Johannesburg, bricks were central to architect Robert Venturi’s proto post-modernism of the 1960s, which coincided with Andre’s appropriation of the brick, that marker of poor industrial technology, as readymade object. The same is broadly true in Johannesburg, where the prim Public Service style of 1930s brick buildings was updated by an emergent Hillbrow vernacular, an essential feature of which, to quote historian Clive Chipkin, was the “the ubiquitous facebrick” produced from a “wide chromatic range of brick clays” found in and around Johannesburg. Paul Edmunds, Sames, 2014. Brick clay and hardware, Dimensions variable. Image courtesy of the artist. To this day, most of the writing about bricks and Johannesburg remains occupied with its materiality and links to the city’s earlier history. It is a productive seam. Peculiar forms of institutionalised racism surrounded the brick: in 1970s Johannesburg, for instance, black masons were not allowed to lay facing bricks on the facade of buildings, only plaster bricks. Such socio-historical readings however rarely acknowledge the brick as more than a mute physical thing. Ivan Vladislavić led me to this insight. His fascination with bricks is longstanding. 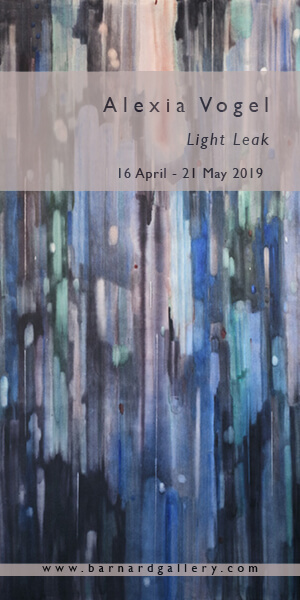 From the outset of his career, Vladislavić – a long-time subscriber to this magazine – has written consistently about bricks and suburban walls, interconnected elements of South Africa’s built environment. His debut literary work, Missing Persons (1989), introduced many of the recurring subjects and preoccupations of his subsequent literary output. His story ‘Journal of a Wall’ is especially noteworthy. Almost akin a nineteenth-century Russian satire, this obtuse story details an unnamed suburbanite’s obsession with his neighbour’s work-in-progress wall. This fixation prompts him to steal a brick, which, as bricks do, offers little consolation or feedback to its viewer, only “stony silence”. Bricks are adaptable conveniences for Vladislavić. They can be used as projectiles during conflict, as the narrator of ‘Journal of a Wall’ notes, and “inflict metaphor,” which is violence by other means. Bricks also locate place. “Is a Johannesburg brick any different to one from Boksburg or Springs?” wonders Vladislavić in his essay ‘Helena Shein’ (2005). Vladislavić writes a lot about bricks in Portrait with Keys (2006), a book-length collage of impressionistic essays, word-sketches, narrative vignettes and artistic confessions. One passage is worth quoting. “A passer-by had flung a brick through the plate-glass window and snatched some goods from the display,” writes Vladislavić of a theft from a store near his former home in Troyeville. “The brick was still lying there among the dusty satin drapes, chrome-plated pedestals and handwritten price-tags. 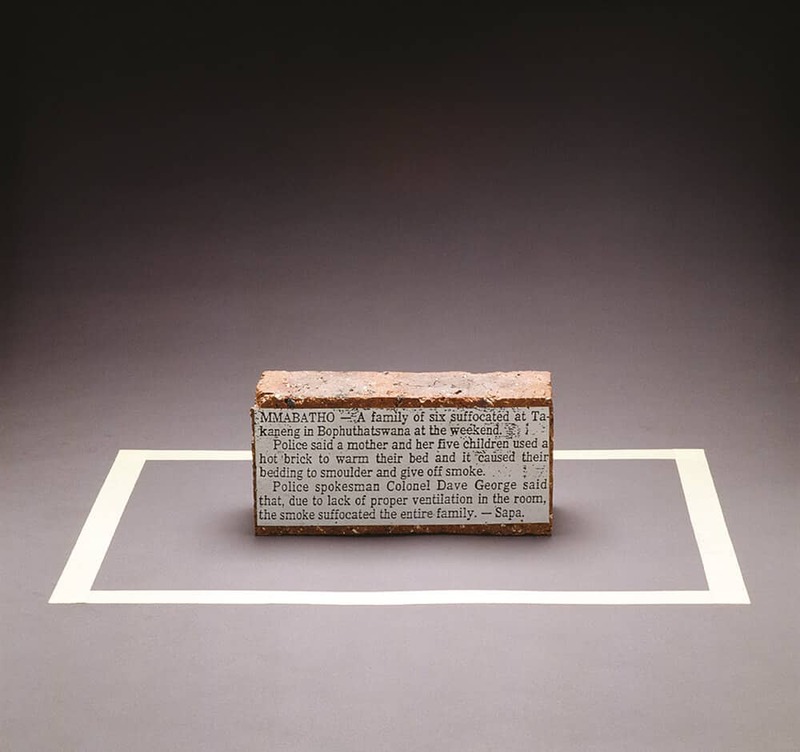 It was a wonderful brick, a model brick, with three round holes through it the size of one-rand coins, filled with chips of broken glass.” The passage reads likes a deadpan description of Geers’ work, Title Withheld (Brick) (1994-96). There is, of course, a predictable arc to all of this interpretation. It freights the brick with meanings to do with place and history and violence, all that delicious South African stuff that serious writers like to mine and form, like clay. I get it. But can a brick, even a brick from Cape Town, make you laugh? I share with Mitchell Gilbert Messina the belief: yes, for sure. In 2014, Messina, a Cape Town artist whose situational practice is as much about improvisation and error as it is about satirising big-idea conceptualism, produced a joyfully slight work titled, I had to be very careful during the revolution because I was wearing flip flops (2014). The work is composed of a brick wedged in a plane of unbroken glass. The punch line is obvious, and also not. “The work was basically a mix of respectability politics when it comes to protest/revolution, the fact that Geers is a white ballie pantomiming threatening gestures for a middle-class audience, and possibly the only explicitly political work I was capable of making at the time that wasn’t too on the nose,” says Messina. I like his expression “pantomiming threatening gestures”. It reminds me of the unhappy marriage of art and life. Each asserts its autonomy; each is bound to the offer by filigree threads of intrigue, desire, routine, jealousy and countless other things that make this marriage bond impossible to sever. Messina’s visual conceit is dated 2014. Two years later, I encountered a situation resembling his work: a brick almost perfectly lodged in a shop window on Roeland Street following a #FeesMustFall march in late 2016. The spontaneous action somehow read like a quote – of Messina, mostly, but also Geers, Kukama, Mofokeng, Rhode and Vladislavić, as well as a host of unnamed mamparas who have used the brick for creative ends. 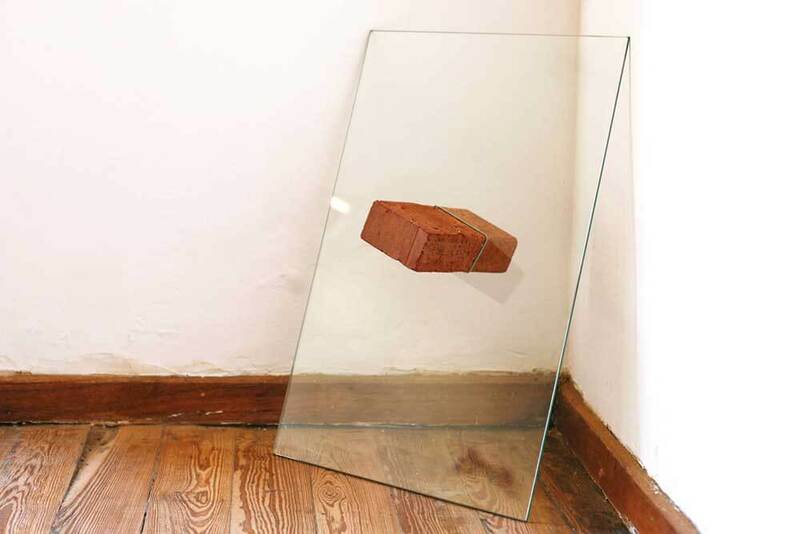 Here was an object capable of reciting itself – of being this, a metaphor for suspended outrage, but also that, a pilfered building block, a stony nothing. Kendell Geers, Brick, 1988. Image courtesy of the artist. Sean O’Toole is a writer and editor based in Cape Town. FEATURED IMAGE: Paul Edmunds, Sames, 2014. Brick clay and hardware, Dimensions variable. Image courtesy of the artist.